This entry was posted on October 9, 2010 at 8:41 pm and is filed under 2010 Giller Prize, Author, Warren, Dianne. You can follow any responses to this entry through the RSS 2.0 feed. You can leave a response, or trackback from your own site. Thanks for the link, Kevin. I will keep this one on the radar, as I do enjoy novels set in small rural towns, usually in the west. 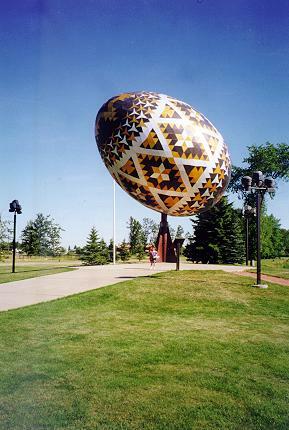 And it is hard to believe people will not drive hundreds of miles to see the World’s Largest Ukrainian Easter Egg. Surely, you have you facts wrong. (heh). Kerry: Okay, some do. But once you have seen it once, there is not a lot of motivation to make a return visit. I thoroughly enjoy – well-written – stories about small rural towns so this would appeal to me, I think. I’ve enjoyed some Australian ones including Kate Grenville’s The idea of perfection (it also has a bank manager – but with a very uptight wife) and Rosalie Ham’s The dressmaker. They sound a little different to what you are talking about but they do have that flavour of small town rural life and the struggle to survive – psychologically, mentally and/or physically. BTW DO you mean its appearance on the Giller LONGLIST in your first sentence? WG: I definitely did mean longlist — thanks for the correction and I have made the adjustment. I do think the towns rural Australia and Canada have a lot in common. While I don’t know Kate Grenville’s short stories, I have found that her novels certainly give me “Canadian” food for thought (the bank manager’s wife in this one is domineering as opposed to uptight). And all three of the “struggles” that you mention are present in this novel — together with the overarching struggle of trying to come to terms with personal history. Having grown up in a small rural town (population around 100) in Oz, I like the sound of this one. I’ve noted Whispering Gums’ comment about Kate Grenville — I need to bump that particular book up my TBR. kim: Given that upbringing, I’d suspect you would find some echoes in this novel. As for that assignment (and it was at the end of my first year as a reporter so I was all of 22), it was fascinating — I remember some of the interviews and places I visited to this day. And you are quite right that no newspaper now would make a similar investment. I am waiting for this one to be published in the US and have been searching for a copy of Who Has Seen The Wind. Thanks for the review and the link to Kerry’s review. Gavin: I can’t find any indication of a U.S. publication date for this one — so you might need to try one of the online sellers who bring books in from Canada (or invest the extra funds in ordering from Chapters or Amazon in Canada — the extra shipping is not really that prohibitive if you want the book and you could add the Mitchell to the order since it is available here). Sorry about that. I’ve discovered some Canadian books are never published here. Then I just go searching online for used copies. Thanks for your suggestions! Just about finished Cool Water and located your review admidsts some others I looked at. Appreciated the background insights of the unusual tourist attractions. Our picture of the world created by the novelist increases as we become aware of what the area islike and the struggles and issues of small western towns in real life so we know where fiction draws its reality from. For a first novel,this is a promising beginning to this author’s move into this genre. As you say,it made the Giller longlist if not the shortlist. What are your predictions of its changes now that it has been nominated as one of the five for the Governor General award. P.S. I was at a book reading this Thursday given by Joan Clark (Latitutdes of Melt), and we asked about her favourite authors. She mentioned Joan Thomas author of Curiousity, and also had great praise for Dianne Warren. You may note her quote on Cool Water. Stephen: For me, the strongest part of this book was the memories that it raised of communities and areas that I know a little bit about but not much (I am an urban guy). I can see the comparison to Joan Thomas (I’ve just finished Curiosity and a review will be up in a couple of days) — both writers are very clear and straightforward, faithful to the reality of the period or community that they are writing about. As for the G-G, I’m not sure — that award has always been difficult to predict. I wouldn’t be overly surprised if Cool Water won but I don’t think I’d regard it as the favorite. 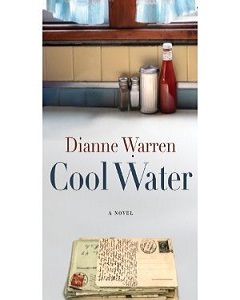 Cool Water has won the 2010 Governor-General’s award for English fiction. I am quite happy with that decision — it is a very Canadian novel and I congratulate Dianne Warren on her success. Just finished this. I ws pleasantly surprised. I largely agree with your comments. I definitely had affection for the book and I’m glad it won the GG. I really enjoyed a couple of the storylines and though the others were average. I think it could have been good enough for a Giller shortlisting though definitely not strong enough to win. Rick: You and I are in agreement. It is a very “Canadian” book and captures an aspect of the country (both setting and people) that made it an enjoyable and worthwhile read. For me, that makes it a suitable G-G winner — I agree that I expect something more literary from the Giller. A few weeks on, I find myself remembering some scenes very well, although aspects of the book as a whole are starting to fade. By far the storyline that sticks with me is the theatre owner who is sharing a house with his dead brothers’ wife. The others have already faded to some degree.